… Bite-Size Colorful Cruciferous Veggies! How excited was I when I first came across kale sprouts? Have you heard of them? I discovered kale sprouts about a month ago in my local Trader Joe’s. 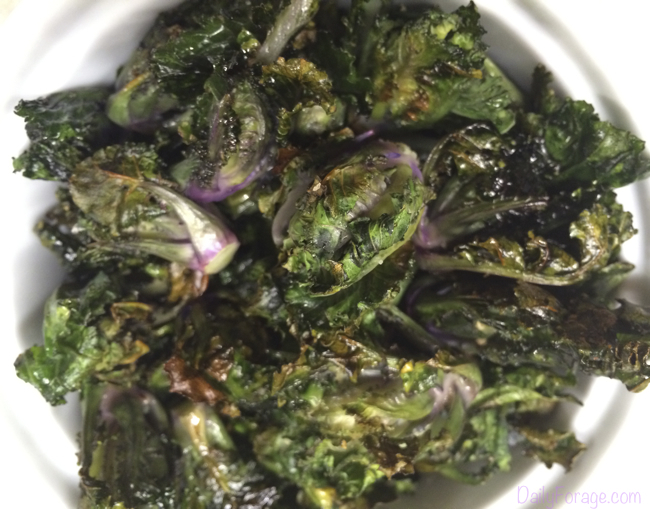 They first caught my attention with their vibrantly colored purple and green, mini-sized kale leaves and stock, with a tiny quasi Brussels sprout loosely encased in the center. What little beauties! They looked delicious. We do eat with our eyes first, right? 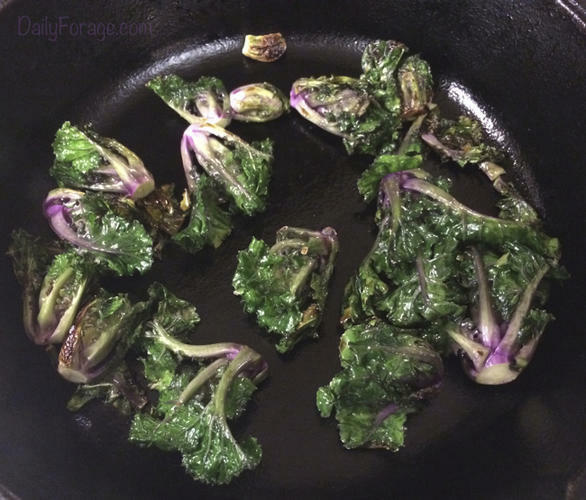 Since I love cruciferous vegetables, including all things cabbage, as well as kale, Brussels sprouts, broccoli, cauliflower, and bok choy, I knew I had to investigate these little gems more closely. 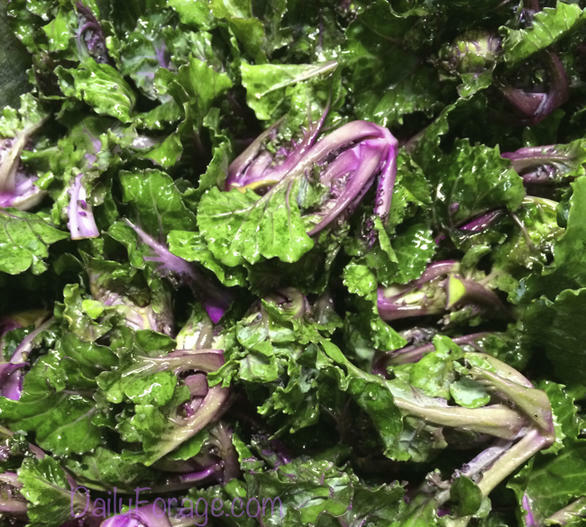 When reading about them, I learned they are a hybrid of kale and Brussels sprouts, hence the name kale sprouts, with the nutritional benefits of both. It turns out that just one cup packs a powerful five grams of fiber and four grams of protein. 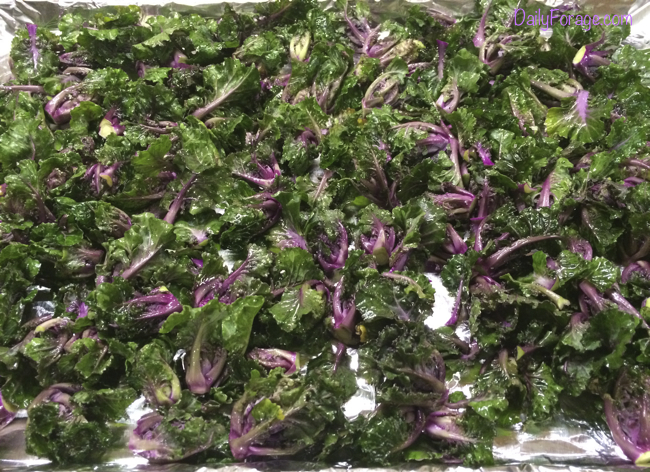 And if you’re not an orange juice drinker, no worries because kale sprouts provide 90% of the RDA of vitamin C.
Preparing kale sprouts is quite simple and fairly quick. 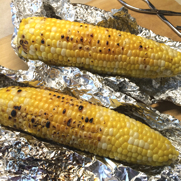 I tried cooking them two ways – roasted and sautéed/pan seared. Both worked very well. 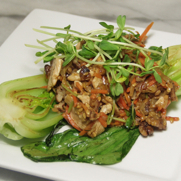 I prefer my veggies on the more raw side of the spectrum, while my family likes them tender. The roasting approach turns the leaves of the sprouts a crispy, crackly texture and takes a few minutes longer to cook the stalk to fork tender than does the pan searing method. This was my preference. Pan searing made pretty quick work of the cooking process and resulted in moist, softened leaves and a more evenly tender stalk. Bet you know who liked these best. To roast, simply trim the stalk just enough to have a fresh cut on the end, nothing more than that needs to be removed. Rinse sprouts and pat dry with a paper towel. Toss them in a bowl with a little olive oil. I like to give them a quick massage with my fingertips to distribute the oil and tenderize them slightly, but this step is not a must. Sprinkle with a little kosher salt and pepper and toss again. Spread them on a foil-lined baking sheet in a single layer, leaving space between sprouts if possible. Bake them in a preheated 425º oven for about 10 minutes, or until stalk is tender to your liking. Remove from oven and serve immediately. To pan sear, trim the stalk just enough to have a fresh cut on the end, nothing more than that needs to be removed. Rinse sprouts and pat dry with a paper towel. Add a little olive oil to a skillet (I love using my cast iron skillet for searing), and bring to medium heat. Add the sprouts and stir to slightly sear on all sides. Allow sprouts to cook about 2 minutes, then add 1-2 tablespoons of warm water to the pan and quickly cover pan with a lid. This will cause steaming to occur and will cook the sprouts evenly to finish. All water should have evaporated by the end of the cooking process. Check tenderness with fork. Continue cooking with lid on if a bit more time is needed. Remove from heat and serve immediately. Both cooking methods allowed for the kale sprouts to have a naturally sweet, slightly nutty flavor. I find them to be less pungent, and honestly less gas producing, than regular Brussels sprouts. And the colors of lavender, purple, and shades of green are just as intriguing and mouthwatering as when the sprouts are raw. Who would have thought that so much goodness could come from such a cute and colorful bite-size bundle? I’ll be using these in one-pot wonders, stir fry meals, warm and cold salads, and snacking on these for sure! Won’t you join me?